Meeting and exceeding your weight loss goals is no longer out of reach. Lipo 6 RX is the talk of the weight loss industry and for good reason, the new fat burning supplement from Nutrex, contains a revolutionary formula that will set the standard for weight loss aid for years to come*. Lipo 6 RX feature’s Teacrine, a nature-identical compound that works with the body’s natural metabolic process, not against it, to boost long lasting energy, minus the crash*. TeaCrine also increases mental clarity and works wonders to improve mood*. The key is in creating a potent state of thermogenesis to stimulate rapid weight loss*. Whether you’re looking to knock off a few pant sizes, or achieve that shape you’re after when looking in the mirror every day, Lipo 6 RX will make sure you see results*, and feel them too*. What is Lipo 6 RX and How Does It Work? Let’s start with the ingredients that make Lipo 6 equally unique and effective. TeaCrine – Similar to caffeine, TeaCrine won’t just boost your metabolism, it will send it into overdrive*. Not only that, but it actually has positive interactions with caffeine and other stimulant compounds*. TeaCrine does not lose effectiveness over time dose after dose like caffeine and other stimulants do*. This makes sure Lipo 6 RX is just as powerful for you down the road as it was the first day you started taking it. That means, you will not have to up your doses as you continue to take Lipo 6 RX*. Are you “tired” of the jitters that high doses of caffeine gives you, or the sleeplessness? TeaCrine ensures a more even energy boost*. You’ll get the long lasting energy, focus, and concentration increases you’re after, without the anxiousness*. Whether you’re at your desk trying to power through a long day at work, or trying to get the weight shredding workout in at the gym, you’ll have the energy, focus, and concentration, which ultimately equates to willpower, to get it done*. 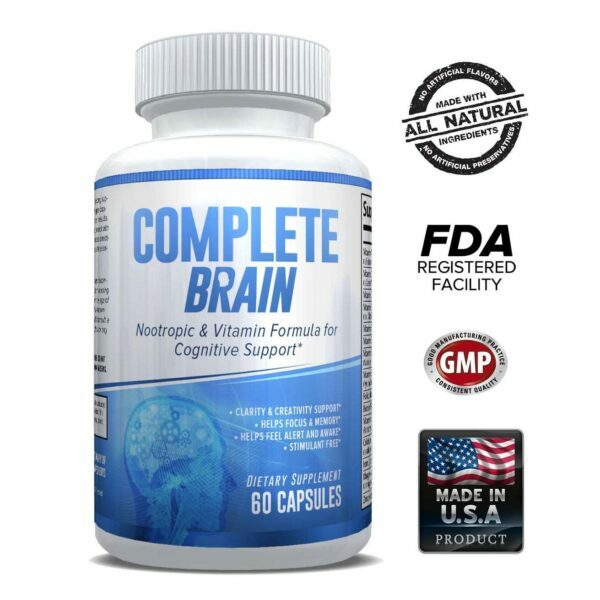 If this sounds like a “nootropic” effect, you’re spot on. One study revealed elevated levels of dopamine in the brain when taking Lipo 6 RX*. This is the science behind why Lipo 6 improves your mood so effectively*. Caffeine works great in weight loss supplements by boosting energy and improving mood as well as increasing metabolism and fatty tissue stimulation*. Hordenine – Hordenine is a derivative of tyramine and an alkaloid of the phenylethylamine class which occurs naturally in various plants. You may have heard of MAO-B selective inhibitors, which essentially increase the potency of other stimulants. It also increases the effects of chemical and neurotransmitter’s released in the brain such as norepinephrine and dopamine*. Ginger Root – This non stimulant thermogenic agent has been shown to increase metabolism rate by 20% along with significant calorie burn increases*. This will get to that pesky brown adipose tissue that most other weight loss aids cannot address*. It actually improves over time, rather than decreases its effect. Visceral abdominal fat is also addressed here, which is the hard to conquer fat that surrounds your organs*. You also may know this by another name, especially men, as “beer belly” fat. Another benefit of ginger root comes in digestion itself*. It improves your bodies ability to digest much needed nutrients and reduce nausea*. Get the most out of the food you’re eating. N-Acetyl-L-Tyrosine – This bioavailable form of L-tyrosine increases dopamine and noradrenaline release in your brain*. Simply put? It improves focus and improves your mood by making you feel good, which keeps you motivated*. 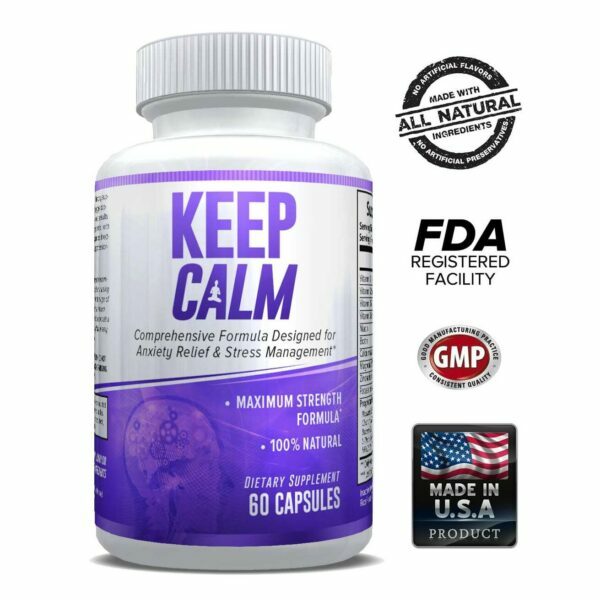 DMAE – DMAE promotes a strong synergy with choline derivatives and the raised acetylcholine levels in the brain, especially when combined with TeaCrine*. This harkens back to making every ingredient, work even better. When achieving your weight loss goals is your focus, you want to give yourself every opportunity to succeed by maximizing every step, to rep, to what you put in your body*. Rauwolscine – You may also know this as alpha-yohimbine. This works as alpha(2) adrenergic antagonist, which aids in weight loss as a highly potent fat burner*. Nutrex has come up with a very effective and comprehensive way of helping you with your weight loss goals*. Lipo 6 RX’s benefits come from the full scale approach in tackling every aspect of the weight loss dilemma. Focus – It will be easier to stay on point and focused on what you’re doing when taking Lipo 6 RX*. That equates to better days at the office and at the gym*. Science of Fat Burning – The ingredients in Lipo 6 RX pull no punches and cut no corners. 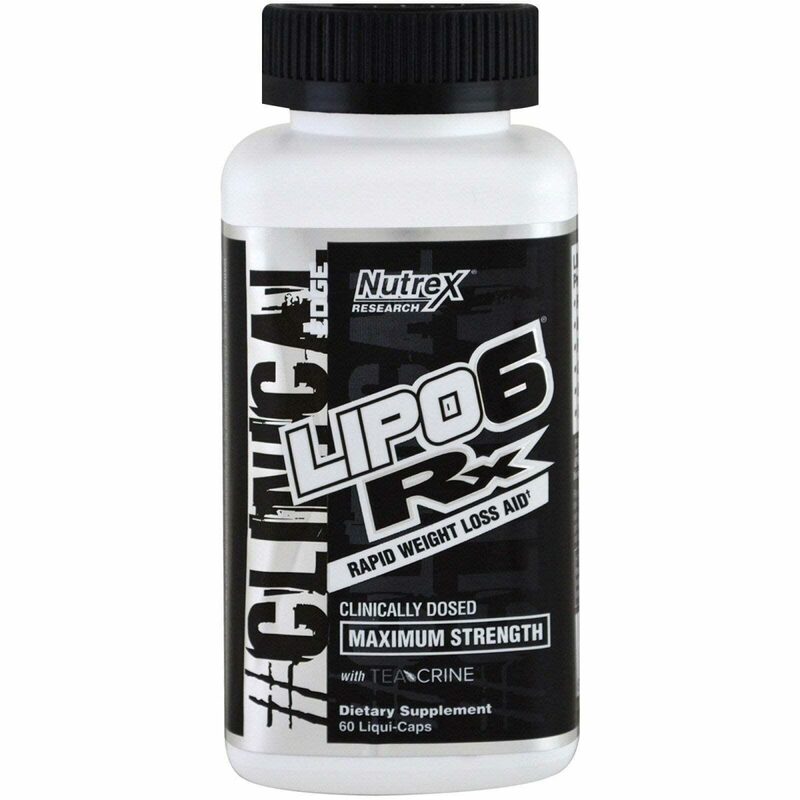 Lipo 6 RX by Nutrex is for anyone serious about achieving their weight loss goals and who have maybe tried other weight loss aids and haven’t seen the results they’ve wanted. It isn’t you, it is your weight loss supplement. Lipo 6 RX will give you the focus you need to stay on target, the energy to keep going, the good mood to make having the will power easy, and the ingredients to make any excess pounds melt away from your efforts, so you see results when looking in the mirror*. Nutrex is serious about weight loss as it has been one of the most aggressive companies in the fat burning market* Once new ingredients are tested, tried, and true, they are utilized in Nutrex’s products. Nutrex places a high value on getting you the latest and greatest ingredients as soon as they are available to help you achieve your weight loss goals. Take 1 Liqui-Cap in the morning and 1 Liqui-Cap in the afternoon. Do not take with food. Due to the maximum potency do not take more than 1 Liqui-Cap per serving. NEVER TAKE MORE THAN TWO LIQUI-CAPS IN A 24 HOUR PERIOD. Do not take within 6 hours of sleep. LIPO-6 Rx is absolutely not for use by persons under the age of 18. Do not use if pregnant or nursing. Never exceed the recommended maximum dosage. Do not consume thyroid-boosting compounds from other sources, including but not limited to, coffee, tea, soda and other dietary supplements, nutraceuticals or medications containing any stimulants whatsoever. This product contains caffeine. Do not use this product for longer than 60 days. Follow with a 15 day break. Consult your physician prior to use if you are taking medication, including but not limited to, MAOI inhibitors, anti-depressants, aspirin, non-steroidal anti-inflammatory drugs or products containing phenylephrine, ephedrine, pseudoephedrine, phenylethylamine or other stimulants. Consult your physician prior to use if you have a medical condition, including but not limited to, heart, liver, kidney or thyroid disease, psychiatric disorders, difficulty urinating, diabetes, high blood pressure, cardiac arrhythmia, recurrent headaches, enlarged prostate or glaucoma. Discontinue use 2 weeks prior to surgery. Immediately discontinue if you experience rapid heartbeat, dizziness, severe headaches or shortness of breath. This product contains ingredients that may be banned by some sports organizations. KEEP OUT OF REACH OF CHILDREN.